This is a versatile bag that can be carried either as a backpack, or using a shoulder strap. There are lots of different sections for your kit, including one isothermal compartment (ideal for carrying vaccines during flu season) with cold gel, and another integrated container for biocontaminated materials. You can adapt the main compartment to your needs thanks to the velcro dividers. There's a separate zipped section for emergency meds with handy ampoule holders. Not as stylish as some of the other doctor's bags we've reviewed - but more than makes up for it in terms of practicality. No-nonsense doctor's bag with room for everything you could need on home visits. Are you the kind of doctor who likes to have ALL the equipment in your bag, even if you’re going out to see someone with a simple rash? Are you ready for action at all times? Is your motto ‘Be Prepared’? 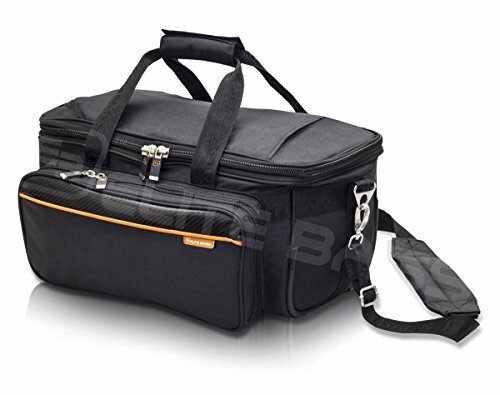 Then the Elite GP Practitioners Bag might be just the doctor’s bag for you.